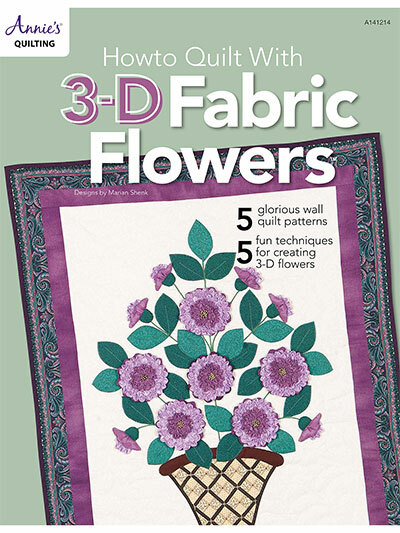 Add dimension and texture to your quilting with garden-fresh 3-D fabric flowers. 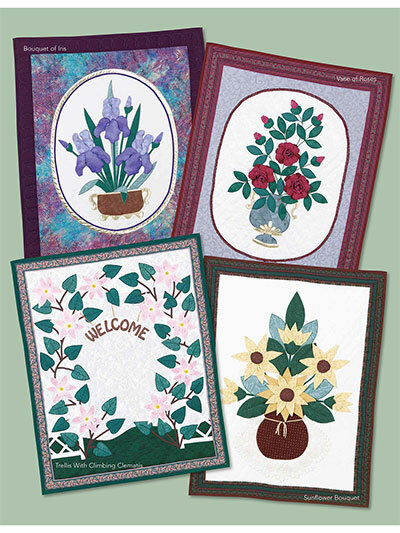 You'll learn how to fold and manipulate fabric to create five breathtaking wall quilts including Bouquet of Iris, Vase of Roses, Basket of Dahlias, Trellis with Climbing Clematis and Sunflower Bouquet. These 3-D techniques are not difficult but add an incredible richness and spendor to these quilts and many more of your creative projects. Each is about 30" x 36".